Explore one of the 7 Wonders of Les Diablerets on this family hike: Creux de Champ. 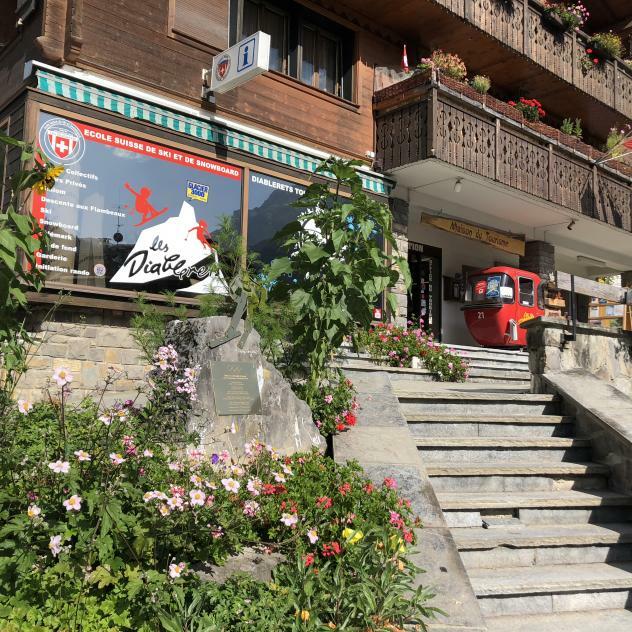 Starting from the Les Diablerets Tourist Office, follow the path along the river to Le Droutzay then head through the forest to Creux de Champ. Continue on the footpath that takes you into the Creux de Champ cirque, then cross the little bridge and mountain streams to get to the rest of the walk. Continue down the forest road that takes you to the village. Creux de Champ is a nature reserve. Take a moment to look at all the little waterfalls coming down from the glacier and you might even spot some eagles on the Drudy, as well as ibex, chamois and certain species of birds. At some times during the summer, there are herds of Highland cattle and sheep with guardian dogs in the pastures. Please give these areas and the dams a wide berth. If you keep far enough away from the herd, the dog won’t even bark and you might not even notice it’s there.